Trichy, a region which finds it root from the medieval period is at present considered as one of the most prominent urban agglomerations in the state of Tamil Nadu. The city which is primarily identified for its temples can be well delineated as it portrays rich culture and heritage. As the history accounts, the region of Trichy has been under the dominance of various kingdoms. The fact that the region was under various kingdoms leaves the city with innumerable temples, churches, mosques and most especially the antiquity which largely contributes to the greatness of Trichy. Located at the border of Cauvery delta, Trichy is an important commercial and educational centre of the state. The city's population is a delicate mix of localites and migrants due to the presence of numerous educational institutions and factories. Even though the city is marching towards the advancement in a rapid pace, Trichy is not far away from maintaining its rich heritage through various means. One such attempt needs special mention that the region is surrounded by agricultural fields on all sides, and still the agribusiness is happening in full swing. The rural face of the district equally plays a crucial role in the development of Trichy as a developing city. Trichy is considered as one of the important arts and crafts junction of the southern state of Tamil Nadu. The city houses a lot of professional craftsmen who model fresh conceptions and hit a healthy business deal with arts and crafts lovers. A wide range of leather works, gem cutting and textile threading are some of the popular arts and crafts form of the region. 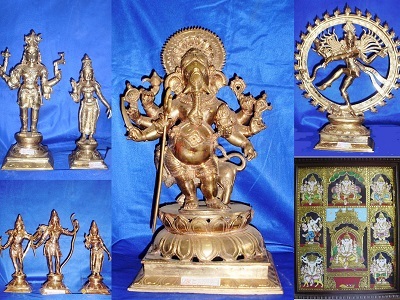 Some of the unique art and craft products of Trichy include Thanjavur garland models, traditional musical instruments, brass miniatures, antique style wood carvings, sandal wood products, Thanjavur paintings, batik prints, brass lamps, applique works, designed plates, palm leaf wareses, breath taking stone carvings and many other artistic products. Trichy city is the home of numerous art and craft galleries too. The economic values of the artistic creations are rather high, and a decent business happens throughout the year. Some of the popular names in the arts and crafts business in Trichy include Srirangam Kalamandir arts and crafts, East Indian art gallery, Poompuhar handicrafts and so on. With its close proximity to Kaveri Delta, the rockfort city of Trichy features a culture which is preponderantly brahminic, prevailing elsewhere in the region. The population of Trichy comprises considerable share of migrant industrial workers and students that affords a new cosmopolitan prospect to the city. The major festivals of Trichy include Pongal, Jallikattu (bull taming sport), Deepavali, Tamil Puthaandu and other national festivals. 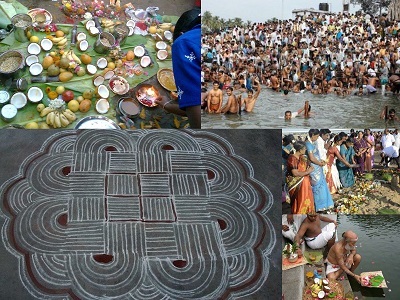 Apart from the national and international festivals, Trichy comes together every year to celebrate its very own Aadi Perukku and many other temple related festivals like Vaikunta Ekadasi, float festival, Car festival of various temples and so on. The people of Trichy have proceeded their culture of the good old days. The refinement and custom of Trichy go back to several hundred years. Populated by distinct ethos and traditionally engaged in agriculture, the city of Trichy has seen a major shift in the principal culture of the region over the years. The district's population preponderantly follows Hinduism, with more modest population following Christianity and Islamism. The primary language of the district is Tamil but considerable amount of people can speak Telugu, Kannada and Saurashtrian. Nevertheless, Trichy city population is silver-tongued with English language.